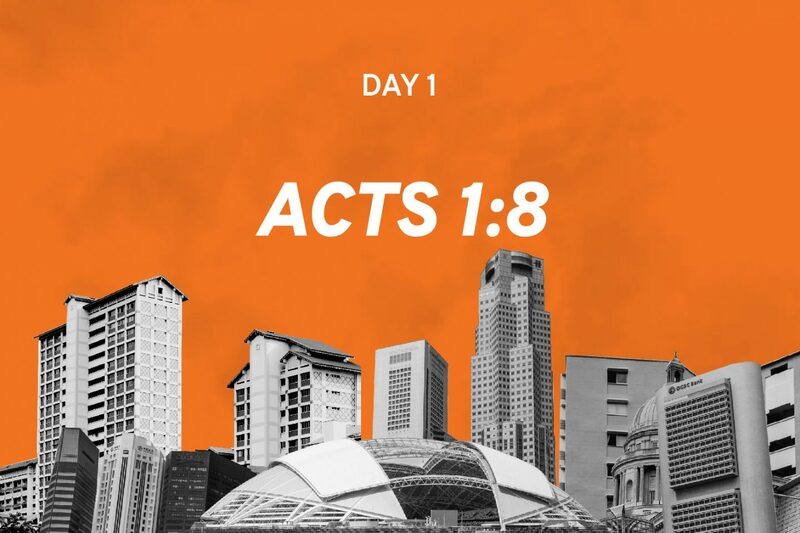 The Celebration of Hope is a city-wide endeavour that calls for all churches to unite for prayer and the proclamation of the life-transforming name of Jesus. Celebration of Hope is about uniting as one body. Through the Father’s heart and your presence, others will be drawn in. It is wonderful that we have over 170 churches who have signed up as partners. And if you haven’t done so, please do so, because it galvanises us. I’m sure there will be many, many churches participating – reach out to another pastor and let him or her know what is happening, so that we share the responsibility with partner churches and share in the joy. Secondly, we are proclaiming the One Name at Celebration of Hope. In 2015, we gathered in one place (the Jubilee Day of Prayer) to exalt the Lord and to seek His blessing upon the land. It was such a privilege to have our Prime Minister there as well. It goes beyond him into the whole land. 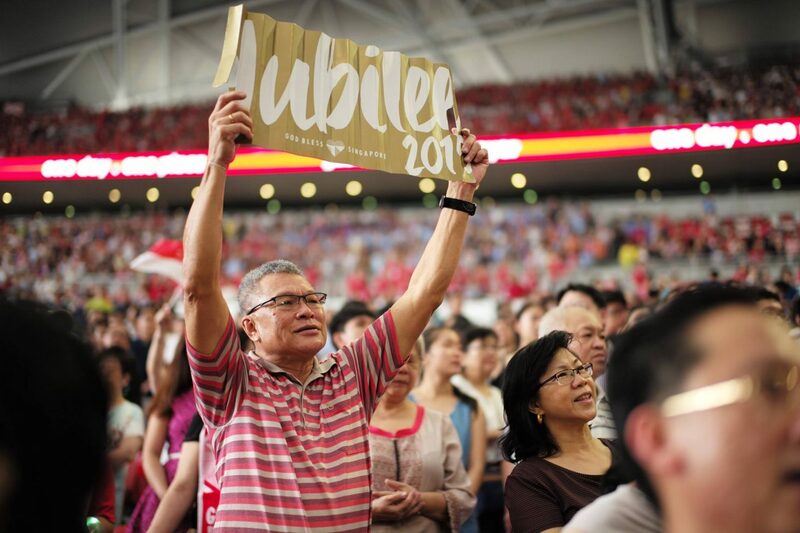 The Jubilee Day of Prayer (JDOP) celebration taking place at the Singapore Sports Hub in July 2015. Photo taken from JDOP’s Facebook page. God has placed on our heart that there is only One who is solid hope for this world. The world is reeling, my friends. It’s a world without markers, rootless and without destiny. There is an overwhelming fear and uncertainty. But God said: There is hope, and there is hope in My Son (John 4:13-14). So it is the proclamation of the One Name that gives the world a solid hope. 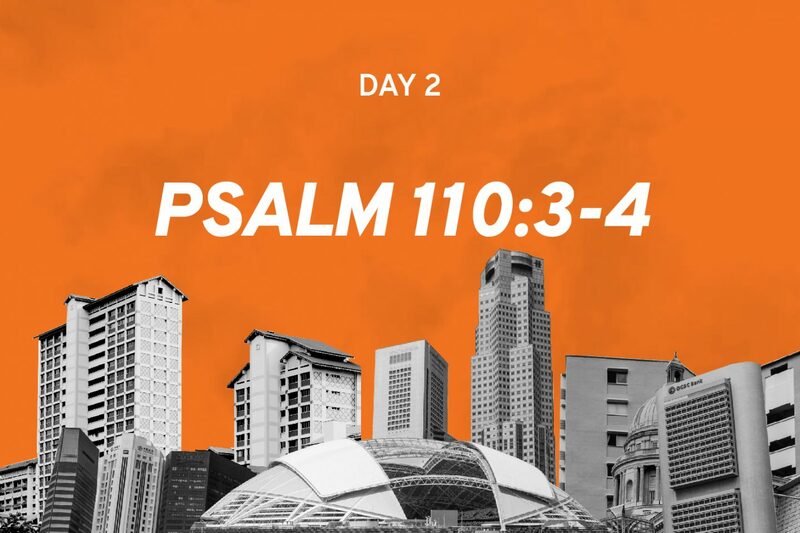 Celebration of Hope will open the door to greater social righteousness in Singapore. Thirdly, Celebration of Hope is about reaping a bumper harvest. This is God’s own mercy, and God’s great power, that there will be, I believe, a bumper harvest this year. Bumper harvest means a great homecoming! So many lives – in your world and mine – and they’re coming to know Him and know His life eternal. That’s what’s going to be happening this year: A bumper harvest, with vast numbers of people being saved. But then a bumper harvest is more than that. In a bumper harvest, the grape is swollen, and it is swollen with life. And what we are beginning to see is that people who come to the Lord, their hearts are swollen with love for Christ. They are ready to abandon all and follow Jesus. They recognise the truth; they commit their lives to Him. And because they do, it’s going to be a bumper harvest in terms of the people going to be sent out with a sense of mission into the fields. This revival will set captives free through Gospel power – whether captivity to gambling addiction or hostility in the home. Some will go as cross cultural workers into the fields, but many will also go as professionals to carry this harvest. So it’s a bumper harvest that will go beyond the land, as the Spirit of God falls upon the people here. And there is a fourth marker, my friends. It’s anticipating a mighty visitation. God, in His wonderful grace and for His salvation purposes, is preparing the world for the return of His glorious Son. Celebration of Hope will be a door for revival. And only He can do it. We wouldn’t dream these dreams on our own, but the Word of God is summoning us and the Spirit of God is lighting us with such a vision. What will this revival look like? What is this sunrise visitation (Luke 1:78)? 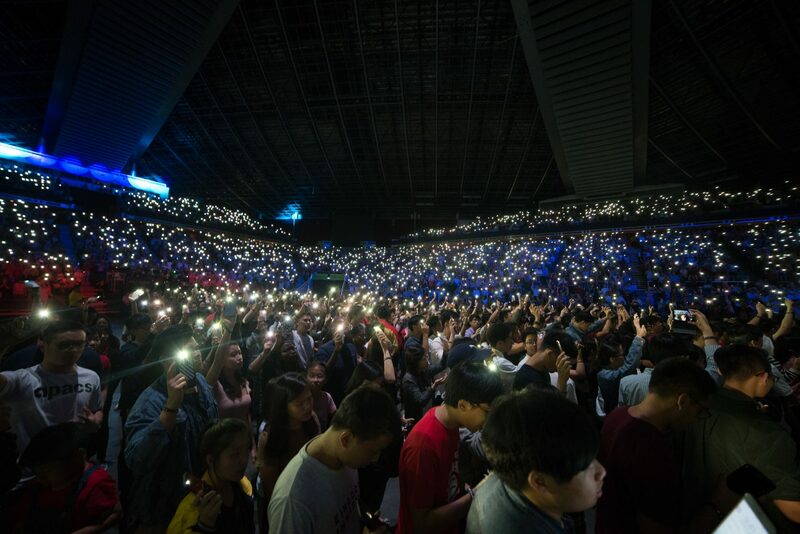 At 2018’s Day Of His Power, young Singaporean Christians under the age of 30 from across all denominations pledged to be part of the Church’s evangelistic effort to witness in every high-rise building in the nation. Photo by Marcus Chow of Thir.st. We see vast numbers coming home to the Lord. But that’s just the seed of revival. Because revival is God’s rain on the land. As His light and His kingdom advance, I see social righteousness in the land. This is what the Celebration of Hope is going to open the door to: Christians practising social righteousness and revealing what it means to live under the rule of God. Where is our hope? Our hope is in the Lord. And in His purposes we place this nation. I see shalom, God’s actual peace and security. You know we live in turbulent times. So the peace and security of Singapore can never be taken for granted. Where is our hope? Our hope is in the Lord. And in His purposes we place this nation. We are pinning the peace, stability and purposes of God on this little red dot. This revival is setting captives free through Gospel power. I see people’s lives being set free, whether it’s from gambling addiction or hostility in the home. This excerpt is based on Bishop Rennis Ponniah’s message at a Celebration of Hope gathering for pastors and marketplace leaders on January 22, 2019. Bishop Rennis Ponniah is the chairman of the Celebration of Hope. 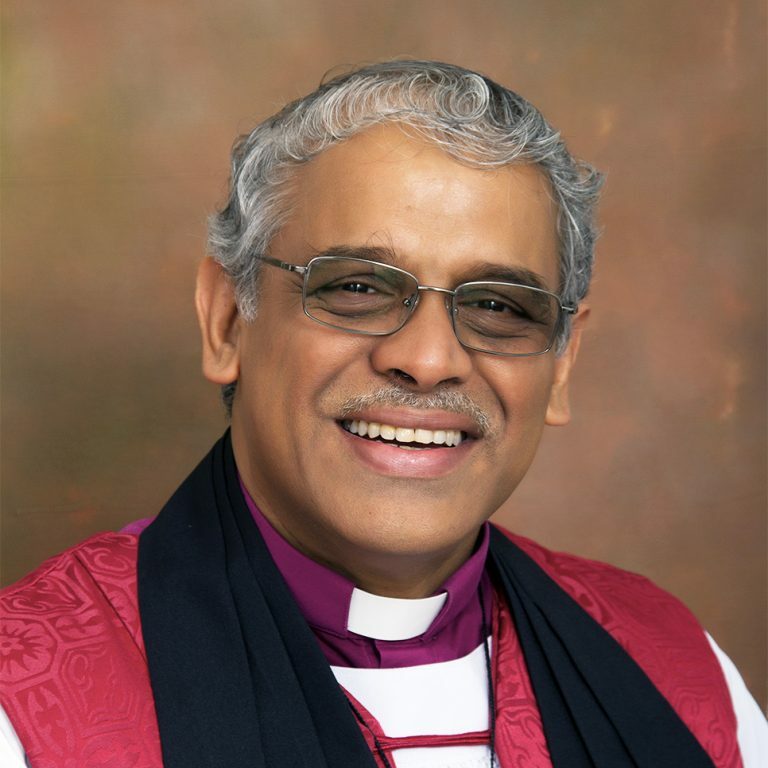 The Right Reverend Rennis Ponniah is the ninth Bishop of the Anglican Diocese of Singapore. He was ordained as a priest in 1991 and was the Vicar of St John’s-St Margaret’s Church from July 1993 to September 2012. In 2005, he was appointed as Assistant Bishop. 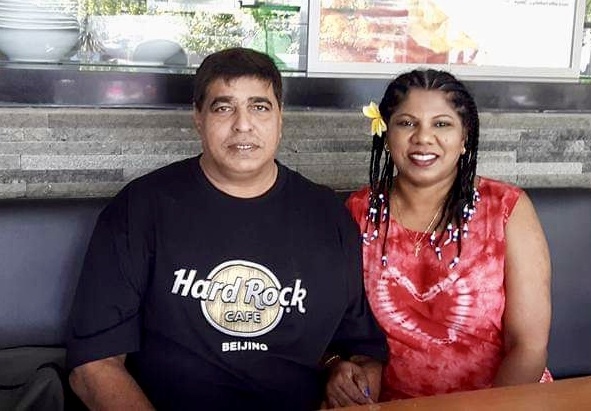 Bishop Ponniah was also previously the president of the National Council of Churches of Singapore (NCCS) from 2016-2018.